Established in 1954 by Ryk van Ravenhorst and currently in the 3rd generation of family ownership, Ravenhorst Motors is committed to making your vehicle look as good as or better than it did before being involved in an accident. We help guide our customers through the process and take the time to educate them about the actions we are taking. Our technicians are highly trained to perform skilled collision repairs. Why did Ravenhorst Motors Limited join CSN? Our wish was to stay independent, yet belong to a network of other like-minded shops that can co-operate in order to better serve our customers. CSN offers everything we have been looking for to help guide our business in the near and distant future. While Ravenhorst Motors Limited remains an independent, family owned and operated business, in October 2010, we joined CSN. 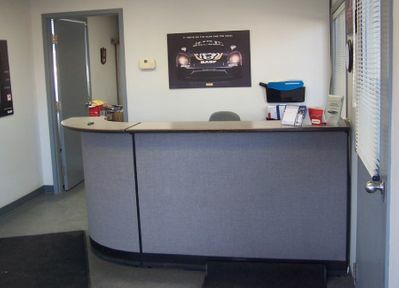 CSN is an organization of independent collision repair shops that have banded together to provide an improved and enhanced repair experience for all parties involved. We welcome all insurance companies and private/owner repairs. We focus on cars and light trucks of all makes and models. Please contact us to learn more or to schedule a free estimate. CSN - Ravenhorst Motors, Ltd.